Toyo Ito won the Pritzker Prize in 2013 and is considered one of the best architects in the world. His architecture practice is based in the Japanese capital and produces a wide variety of work, theatres are not a speciality but just one of numerous typologies the office works with. 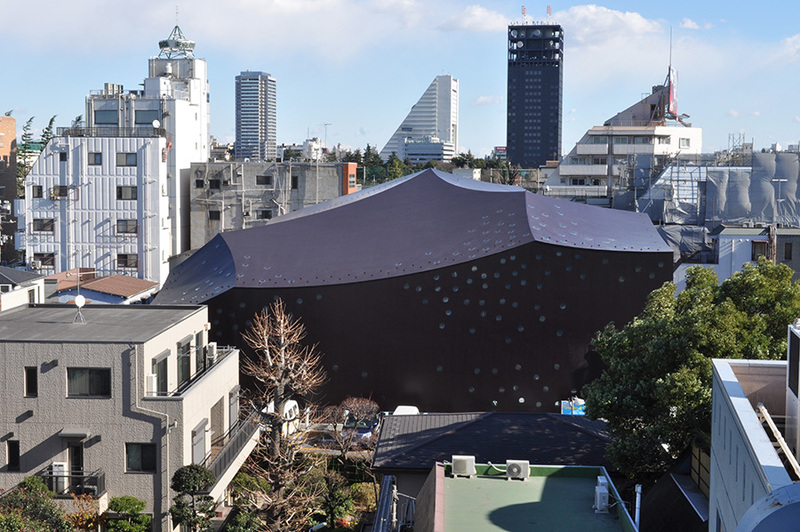 This Japanese theatre building by Toyo Ito is a theatre for contemporary performing arts. The theatre is funded by the city of Suginami in Tokyo and managed by Creative Theatre Network (CTN), a non-profit organization. The theatre produces, presents and supports a wide range of cultural activities for the community of Suginami, enabling people of all ages to see and take part in many art forms from drama and dance to music and storytelling.